Silicone Glue application tools must be gaining in popularity. 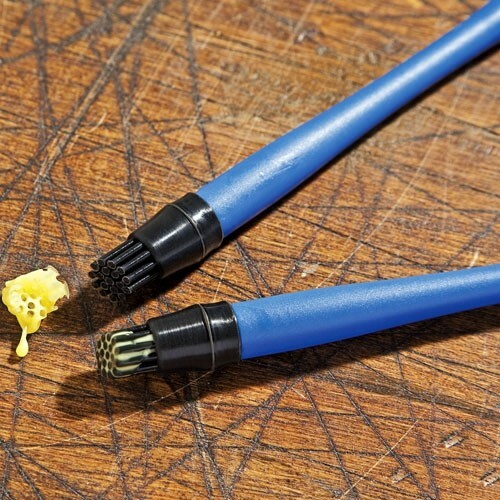 Rockler first started out with their basic Silicone Glue Brush early in the year, then just a few months ago they developed a full Silicone Glue Application kit; but the New Silicone Mini Glue Brush is what I was waiting for. I really like the first Silicone Glue Brush that Rockler came out with and it was able to do everything they advertised it could do. It easily spread glue and remained non-stick even after the glue had dried. The one problem I had with it was that it was too big to fit in my glue bottle, which made using the brush a little difficult. Not only does the new mini glue brush solve my problem, because it is mini, but the other end of the brush solves the problem of gluing dowels and other small spaces. 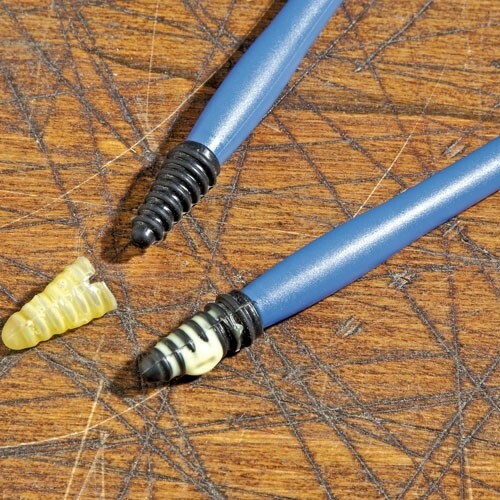 You see, while the one end is a simple brush, the other end has a conical shape with ridges around the circumference that allows the silicone tip to place or drip glue right where you need it. I think I will like the new Silicone Mini Glue Brush more than the original.